Many businesses keep on looking for quality leads from outside system, but they don’t look for the leads those can be generated from their internal systems. But if one needs to get the best leads, they must look for the calls they receive from the internal calls. So, if you are also service or product company and are looking to acquire the new customer then you should definitely look for the inbound calls. Inbound calls are customers calls which you receive to your business or call center. These calls can be an inquiry call or a service support call. But if you will record and manage it properly then you can get the best from it easily. 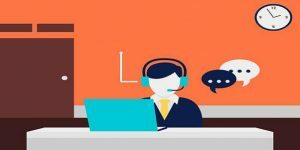 In order to understand and optimize these customer interactions, you need to have a proper Inbound Call Tracking Software. Phone Call Tracking platforms like Ringba track and report on inbound call analytics and provide you with all the data you need to optimize your marketing campaigns and sales funnels. Why should you track the inbound calls? Looking at these features, one needs to track and manage the calls in a better way for sure. Now as you know the benefits, let’s see how you can track and manage the calls. How to track inbound phone calls using Ringba? We are focusing this post on tracking unbound calls using the tool Ringba as they are the market leaders in the call tracking and analytics for the enterprise. First of all, you need to sign up for the Ringba which you can do for free initially. Once signed start with the campaign. Following are the major steps you need to take care of while designing the campaign. Let’s start with each one in detail here and see how you can start with the tracking of inbound calls. After signup, you can visit the dashboard and start the campaign settings where you need to provide the campaign name and other demographic details for easy tracking. Here you need to either have the local number or the toll-free number using which you can track the inbound calls. These will be the number where you will be getting the calls. Now you can select where you want to land your incoming calls. Your targets in this case will be your sales team – add them to your campaign and use weighting and priority to give your best reps the first chance at closing a sale. At last, when everything is done, launch your campaign for the best benefits. 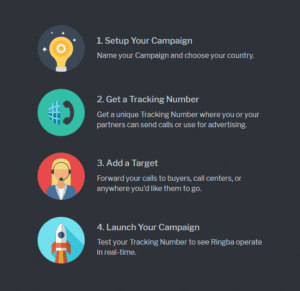 Once your campaign is live, your inbound calls will be automatically tracked and Ringba will start capturing what all it takes for your business. These were the easiest ways using which you can track the inbound calls. Ringba provides an excellent mechanism using which every call coming at the center can be tracked, analyzed, and managed for the best benefits. 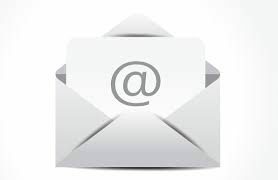 Sign up for Ringba today and start getting the leads from your inbound calls.